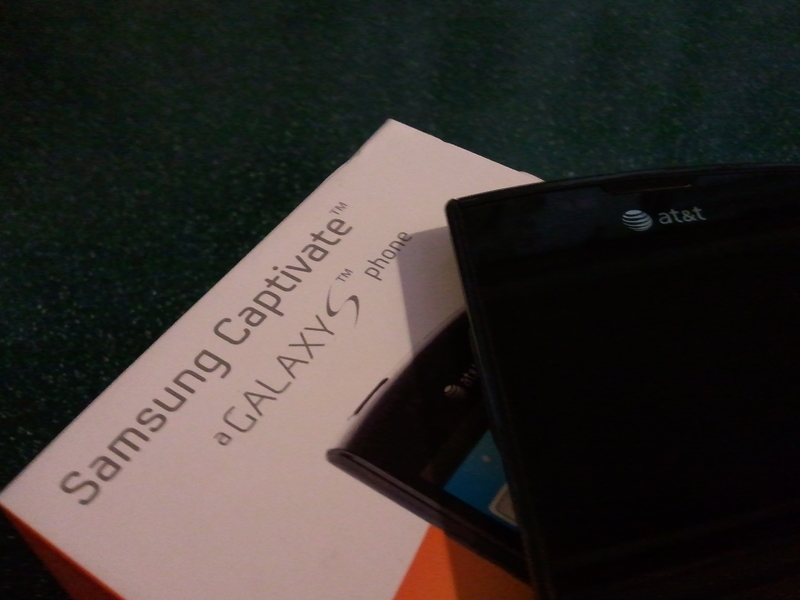 Earlier last week, we here at BrainLazy got our hands on the AT&T Captivate and boy were we impressed. After holding onto it for a week, I didn’t want to part with it. Here’s a more in-depth look at what made the device standout to us. The Captivate’s screen is impressive. This new king of displays is what Samsung calls, Super AMOLED. The resolution is a spacious 800 x 480 display spread over FOUR inches (diagonally) of beautiful glass, which results in a balanced 5:3 aspect ratio. Not quite as long as 16:9 but not nearly as wide as 3:2. The result of which is that widescreen movies translate over far better than the 3:2 Aspect ratio competitor. This is the canvas. Now to truly define exactly why Super AMOLED is superior to all other display technologies. First, we have to explain that AMOLED emits light. We are not trying to bend and contort a single light source into a color. What are the benefits of this? Three things: contrast ratio, color gamut, and response time. Since AMOLED emits light, in the event there is no light to emit, we can have “true black”. Samsung is being very conservative here and says that the contrast ratio is 50,000 to 1. Compare that to the best LCD at 1,000:1 and you clearly see the difference. Next is the color gamut. AMOLED produces 127% of the NTSC color gamut. Some may say that this is oversaturation. People that are used to regular displays will quickly see how vivid the colors pop out at you. Next, we have a very important aspect: response rate. Samsung, again, chose a modest stance, stating that the response rate of their Super AMOLED display is 10 microseconds. Compare that to LCD, which takes a bit of time to adapt to color changes at 8 milliseconds, and the result is fluid animation. Combine all these features and what you get can only be seen to be believed. From the native UI, to youtube, to 1080p video dropped onto the phone, everything looks crystal clear and brilliant. The brightness is unparalleled, which is a double-edged sword. Great as a makeshift flashlight or just for everyday use, but not so great, even on it’s dimmest setting, to check the time in the middle of the night. That’ll wake you right up. The case is pretty sturdy. 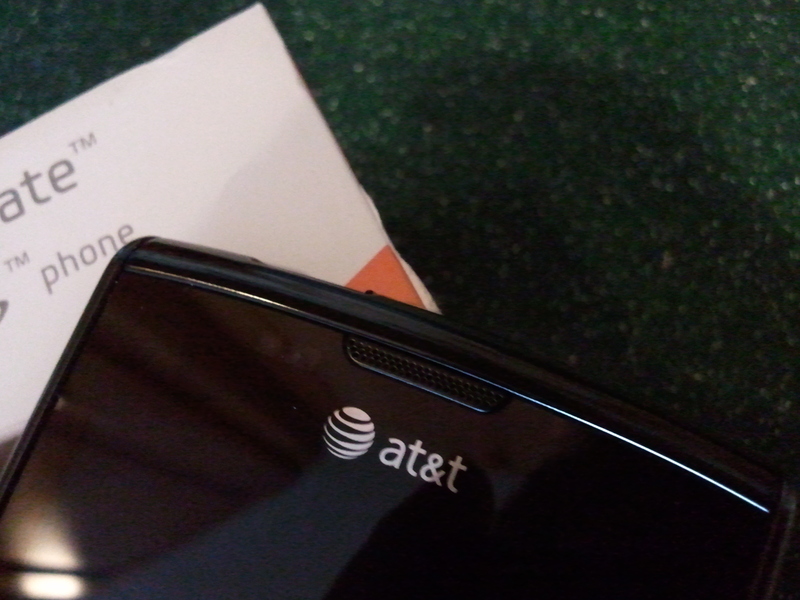 Part of this sturdiness comes from the metal back plate that houses the battery, MicroSD and SIM card. 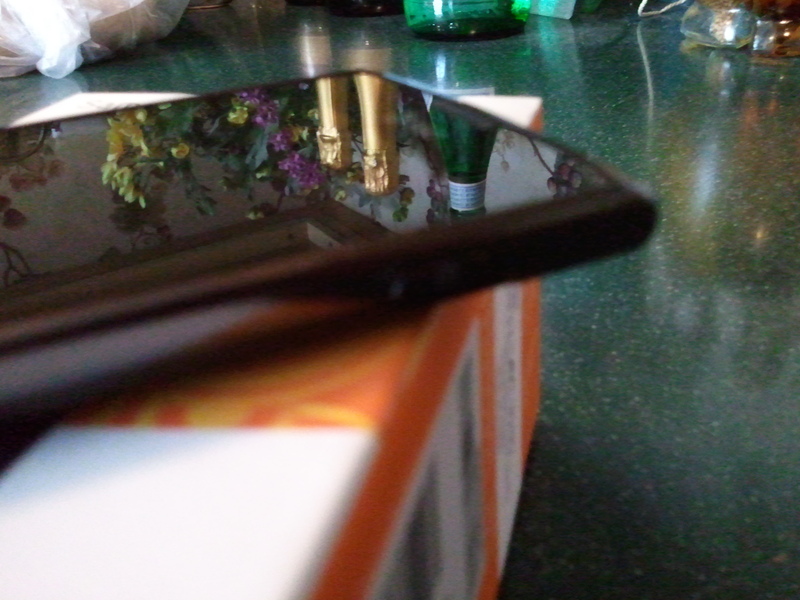 Very smooth and polished, but seemingly not very scratch resistant. Though with a review unit, we weren’t very eager to test that theory. The only downside is there isn’t much of a sense of orientation. Since there aren’t many indications of which side is up, quickly pulling the phone from one’s pocket would more often than not result in it being upside-down. Overall though, the Captivate sports a very nice, attractive, light case. The power for the unit is supplied by a 1,500 mAh li-ion battery. Even when pushing the phone a bit (wifi, sync every hour, and watching hour-long videos at a time), it seems to still have a good amount of juice left. Be wary, though, of idling programs and such overnight, as those are definitely a battery killer. 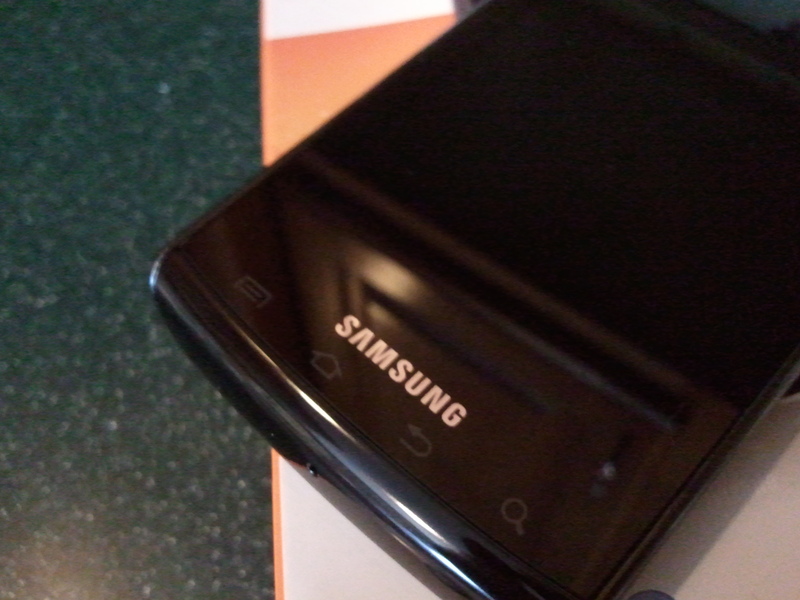 It should also be noted that when the Galaxy S is displaying a “black” screen it is using the least amount of power. Conversely, when displaying a “white” screen it is utilizing the most amount of power. The Captivate uses a 5MP sensor (all of the images in this article are actually taken with the European model of the Galaxy S) which can capture stills at the full 5MP resolution as well as being able to capture 720p video at 30FPS. Image Quality is comparable to other high-end phones out today. The Only thing I wish was that the Galaxy S took stills faster. However, the extended feature set available to the camera function makes up for the slight delay. UPDATE: we now have verification that the Captivate does NOT use a back-side illuminated sensor. Considering that the Galaxy S manages to take such nice low-light photos as well as it does is pretty impressive. The Android OS really shines on the Captivate. From the marketplace to the live wallpapers to the built-in widgets, the UI is extremely customizable. You can add up to seven screens to flip through, each being a canvas for widgets, application shortcuts, quick contact buttons, etc. Right now, the Captivate (which I’m using to write this), has three screens: one for two weather widgets (home and office) and two “Picture Frames” (for my near and dear), another with sixteen quick contacts (filling the screen), and finally the home screen with a google search widget and twelve of my most-used application shortcuts. I could have easily used all seven, but I’m having a difficult enough time parting with the device as it is. The expandable notification tray is another feature that will be sorely missed. Whenever something of note completes in the background, a notification will likely be added to the tray until the user initiates a call to action via clicking it. Downloads, installations, application updates, text messages, voice mails and everything in between will trigger a notification. The tray also contains buttons to toggle wifi, bluetooth, ringer, and vibrate. Last, but certainly not least, is one of my favorite features, albeit not an Android OS-specific feature, Swype. Swype is like the classic T9 (predictive text) input but on steroids. Instead of starting to type, you “swipe” a finger across the letters on a visual keyboard. The more you swype, the more words Swype remembers for future use. While at first it felt clumsy, once I got the hang of it, I began to realize it’ll be one of the features I miss most. The Captivate’s superior specs produced an exceptionally fluid experience. Whereas most Android phones are prone to pauses and stutters, such events were much less frequent on this device. The Captivate is a program launching, multi-tasking, screen sliding, finger-gliding son of a gun (WOOOOO!) that proceeds without a hiccup for the most part. Occasionally the OS will pause, and while this pause is likely, the same length as those that occur so commonly on lesser phones, on the Captivate they stand out like a sore thumb. The haptic feedback, an excellent feature that registers virtual button presses with a brief vibration, is missing during these pauses. When the device regains consciousness, all of the feedback and input comes at once. 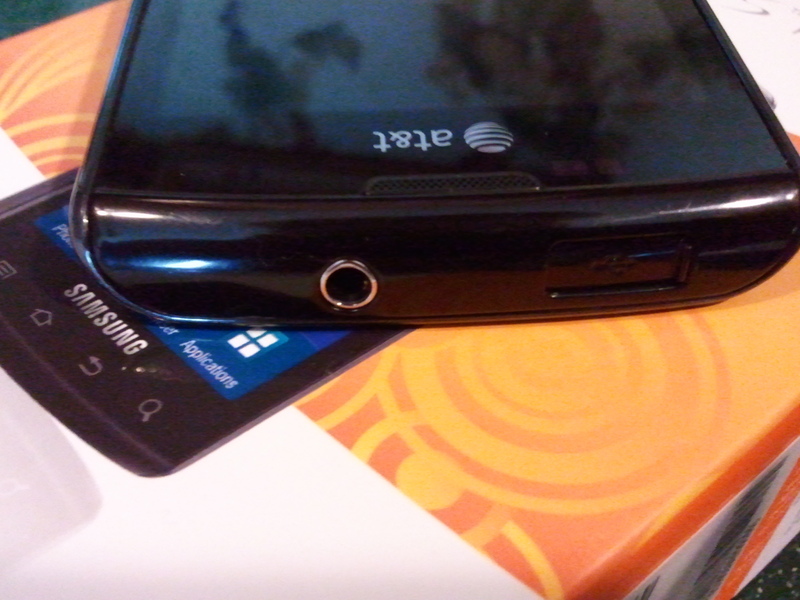 Like most Android devices, the Captivate is mostly touch based. Aside from the previously mentioned Swype, there is the default keyboard (similar to the iOS keyboard). The capacitative touch screen allows for multi-touch and thus pinch-zoom, but this is not fully integrated in every application. It shows up in Google Maps, but it is noticeably absent in the picture gallery. With access to the Android Market, this device has no shortage of options even ignoring the full range of applications built-in. These preloaded apps include AT&T Hot Spots, AT&T Maps and AT&T Navigator, Browser, Gmail, Mobile Banking, Video Player, and a slew of others. As mentioned before, the ample horsepower of the device, lets it run these programs smoothly even while heavily multi-tasking. As my first introduction to an Android device, the Captivate is the perfect platform to showcase its strengths. This flavor of the Samsung Galaxy S is able to play videos in a wide range of encodings with its preloaded Video Player. This allows you to simply drag and drop a video from your library as-is without having to convert to a specific format and watch moments later on the beautiful display. Android is very tightly integrated with the internet. Even your Google, Facebook, and Twitter contacts can be synced and unified on the device, allowing you to follow, update, and message your friends across multiple social networks. The Contacts application has an Activities feed that displays relevant status updates from said networks. 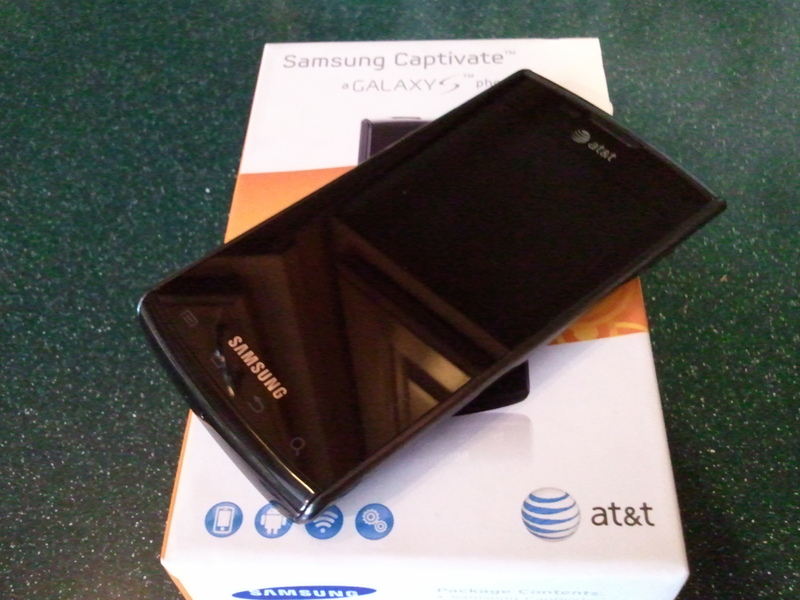 With its gorgeous screen, smooth operation, and legendary Android connectivity, the AT&T Captivate lives up to the hype and elevates smartphones to a whole new level. Also take a look at our video review by Phawx.